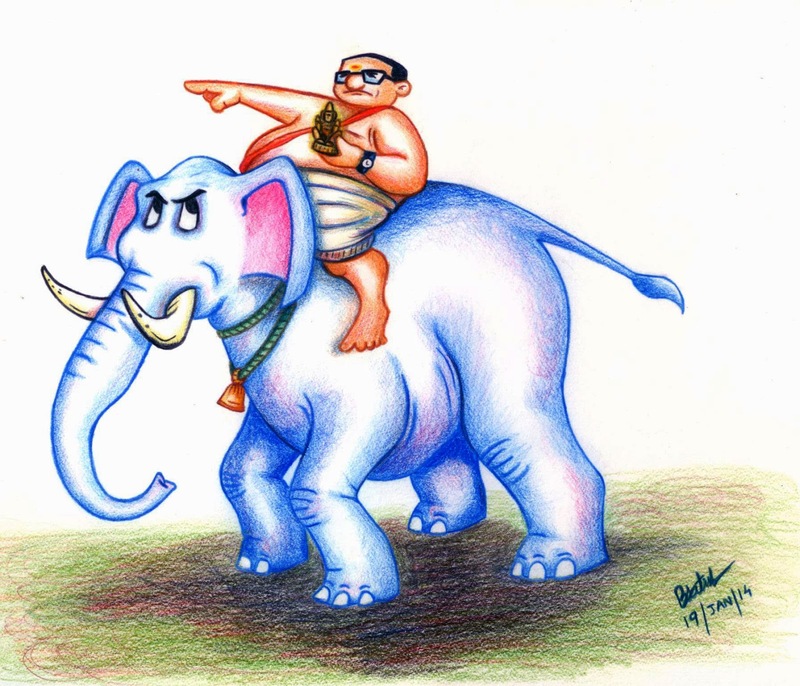 When I was on holiday, I happened to witness a hilarious incident where an overweight temple priest was trying to get on the back of an elephant while holding the idol of the Deity in his hand. Other people offered to help. The adamant priest refused point blank. However, after several attempts he did succeed. But the elephant had become quite irritable by then. I created this piece of artwork representing the same idea. No offense meant to any one and I hope none will be taken.